The biggest weekend of the season so far for Marching Music's Major League leaves the Blue Devils with two gold medals but not much comfort. 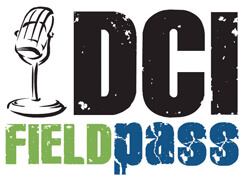 Dan Potter sums-up the weekend and previews the week ahead in today's Field Pass. Download and listen now. (MP3, 8.7MB) Listen through iTunes. Subscribe to this podcast.